An enjoyable dinner and networking between members took place at the Auckland Northern club in May, where after a long debate the current committee were all re-elected. Dr. Matt Miller, President of AAOCS encouraged all to keep an eye on the upcoming lipid conference in Sydney in 2020. More news in future issues. New research proves that EVOO is the safest and most stable oil to cook with. 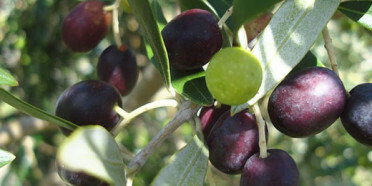 Recent research conducted in an Australian oil specialist laboratory (Modern olives) confirms that Australian Extra Virgin Olive Oil is the safest and most stable oil to cook with. Canola oil, grapeseed oil and rice bran oil, were found to be the least stable and produced the highest level of polar compounds when heated. Polar compounds are a by-product of frying and cooking and are thought to be injurious to health. Acta Scientific Nutritional Health Volume 2 Issue 6 June 2018 Research Article Evaluation of Chemical and Physical Changes in Different Commercial Oils during Heating . Professor C.P. Tan from the University of Putra, Malaysia was a recent visitor to NZ to discuss mitigating the formation of MCPD and GE esters in refined edible oils. He is a most personable scientist and has carried out lots of practical experimentation, mainly on palm oil and a recent paper of his is well worth reading for those involved in this area. It is hoped he can return to Australasia to present his work. Consumption levels of 3-MCPD in food are considered safe for most consumers but there is a potential health concern among high consumers in younger age groups. In the worst-case scenario, infants receiving formula only may slightly exceed the safe level. The chemical 3-monochloropropane diol (3-MCPD) and related substances called 3-MCPD esters are food processing contaminants found in some processed foods and vegetable oils, mainly palm oil. 3-MCPD and its esters are formed unintentionally in these foods, during oil refining processes. 3 years after the first seminar run by Advanced Lipids in Auckland, the scientific and technical team returned to give yet another stimulating and updated review of specialty lipids in food especially infant formulae. Advanced lipids is a JV between AAK of Sweden and Enzymotec of Israel. Their ethical marketing reflects the fact that human milkfat is the optimal lipid source for infant nutrition. Their major flagship product is Infat which is a structured lipid with palmitic acid in the sn-2 position. Updated information on the markets and issues were given by the Advanced Lipids team. An excellent event run by Virginia Scott and her colleagues at Invita. For more information contact her and her colleagues. The global infant formula market is reported to be 2.5 million tonnes valued at $45 Bn. China with its17 million babies is the largest market. FSANZ are still deliberating on the status of structured lipid for infant formulae. 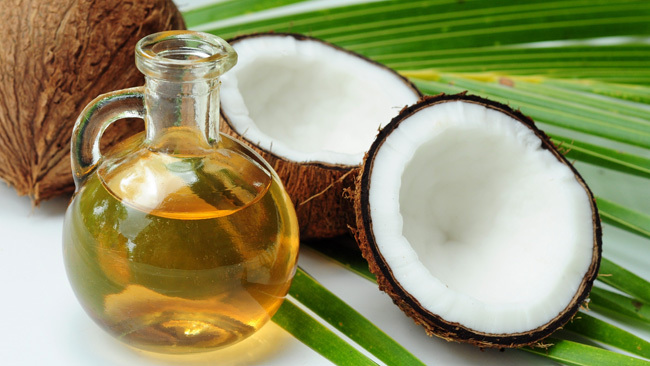 They view INfat (1,3, dioleyl-2-palmitate) as a nutrition enhancer and not as an oil. On a recent visit to Samoa to assist in refining coconut oil, executives from a most interesting company in the USA were encountered. The company is Dr. Bronner, a long-established company whose major product is liquid soap. The eponymous Dr Bronner’s soap company was founded in 1948 by Emmanuel Bronner, a third-generation soap maker whose Jewish-American family had been master soap makers since the mid-19th century. His distinctive packaging has been in use since that time and is easily recognised by natural health consumers for the text that covers every inch of the label with Dr Bronner’s philosophy on spirituality and ecology. They are now run by the grandson of the founder. The company has a strong emphasis on environmental sustainability and sustainable and ethical business practice, with a high percentage of certified organic and fair-trade ingredients, traceability in the supply chain, fairly paid wages, environmental initiatives and only simple, natural ingredients. Unlike a lot of global companies, they have a fair approach to suppliers and they will be a great fit for countries in the Pacific. Their philosophy is summarised.